Mumbai: Gujarat's Patidar quota agitation spearhead Hardik Patel on Friday said he did not consider Congress president Rahul Gandhi "my leader" and favoured the entry of Priyanka Gandhi into active politics. The Patidar Anamat Andolan Samiti (PAAS) leader also announced that he would not contest 2019's Lok Sabha election, despite attaining the eligibility age of 25 years. "I like Rahul Gandhi at a personal level, but I do not consider him as a leader because he is not my leader," Patel said at an event. Patel, who has been agitating for reservation for the Patidar community of Gujarat, had worked closely with the Congress during the Assembly polls held in the state in December, 2017. 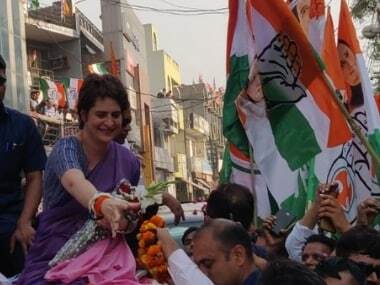 During an interactive session organised by a television channel, Patel went on to add that Rahul Gandhi's sister Priyanka Gandhi should join active politics. 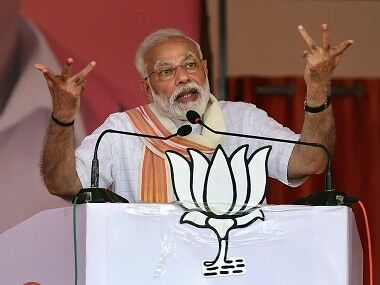 He claimed that if the Congress had supported his movement with "full capacity", the BJP's tally in the Gujarat Assembly polls would have been 60 seats and not 99. The Congress had bagged 77 seats in the 182-member House. "But it gives me great pleasure to see the full strength of the Congress representatives in the Gujarat Assembly. Now, they (Congress MLAs) are raising the voice of the people of Gujarat confidently," Patel said. To a query, he said, "No, I am not going to contest the Lok Sabha election in 2019 against (Prime Minister Narendra) Modi. In fact, I have decided not to contest the election in 2019, despite the fact that I would be eligible to take a plunge into the electoral battlefield." 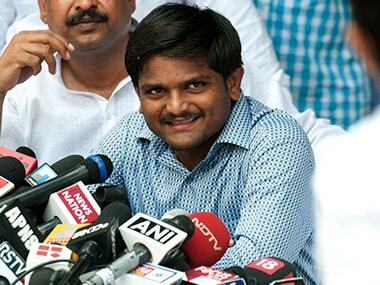 Owing to the age limitation, 24-year-old Patel could not contest the Gujarat Assembly election. "I will be able to contest elections and no one can stop me from doing so. However, I think it is more important to feel the pulse of the people, whom I would represent in the Assembly or Parliament. First, I want to understand everything and most importantly, what the public wants and deserves," he said. Replying to another query, Patel admitted that he had a girlfriend and that he would be marrying her. 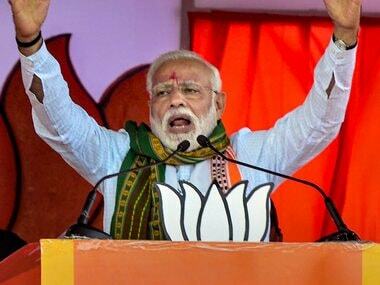 Another quota leader, Alpesh Thakor, who is now a member of the Gujarat Assembly, claimed that the BJP could secure 99 seats in the state polls as it had "money and muscle" power. "Otherwise, the final tally (in the Gujarat Assembly) would have been quite different," he said at the event. "There were three movements going on for the last few years in Gujarat. The Patidar movement, the Dalit movement and the OBC movement. Everyone supported the Congress and that was the reason we got so many seats," said Thakor, who won from Radhanpur on a Congress ticket. Before returning to Gujarat, Patel met the vice-president of Mumbai Youth Congress, Suraj Singh Thakur, on Friday. "Hardik wanted to know about the problems being faced by the students and unemployed youth in Mumbai and Maharashtra. He was very disappointed to know about the issues. We both are looking at each other, hopefully to protest against the anti-youth policies of the BJP government at the Centre and in the state," Thakur said.